What really catches my eye here is the guac…it’s lurking back there like a Christ Child in a Manger. 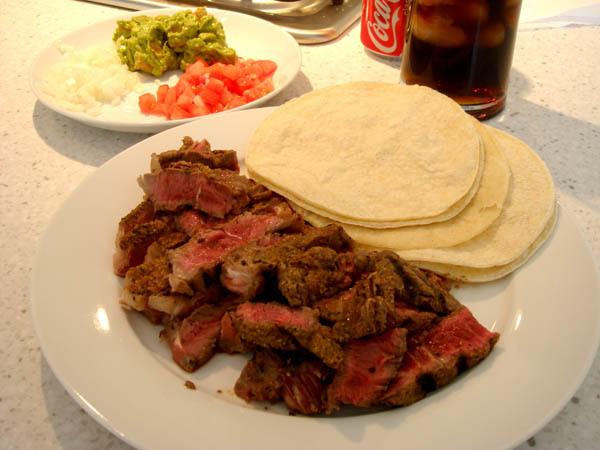 GIKKU.COM recommends flank steak for tacos, not ribeye. The rareness is amazing though. Ah yes, I will try flank steak next time. I’m still picking the gristle out of my molars.